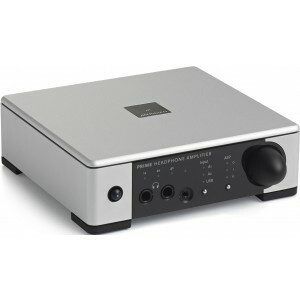 Originally £1199, this excellent headphone amplifier includes RCA and asynchronous USB inputs and is upgradable by adding the Prime Power Supply upgrade. Earn 739 loyalty points when you order this item. The reference-quality Meridian Prime analogue Headphone Amplifier can replay audio from both analogue and USB-based sources. 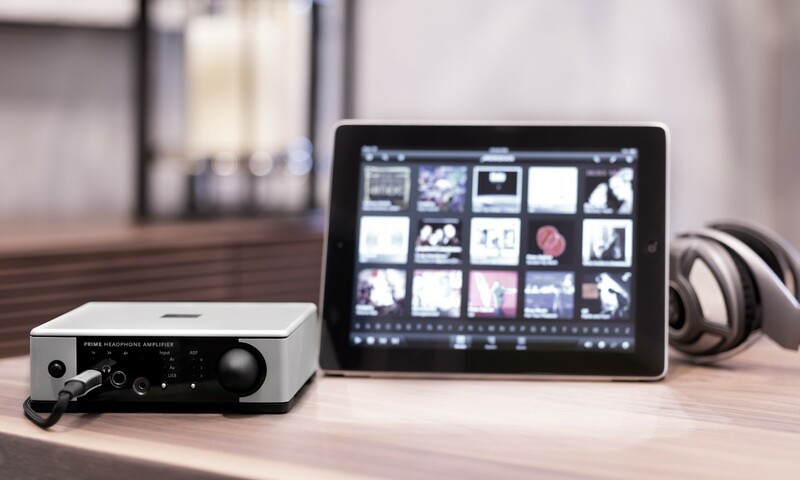 Built into an elegant and compact metal case, it has a preamp output to drive an external audio system or analogue active loudspeakers and fully supports Meridian’s revolutionary MQA technology for studio-quality replay. 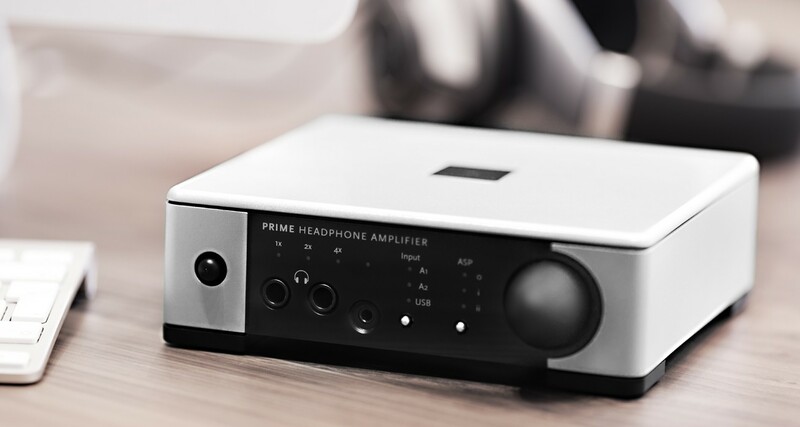 Designed to appeal to audio enthusiasts, the Prime Headphone Amplifier helps you achieve the highest possible performance from conventional analogue audio sources including personal stereo players, PC via USB, headphones, a conventional audio system or analogue active loudspeakers. The outputs include two Analogue Spatial Processing modes, which replace the typical “in the head” experience of headphone listening with a smooth, natural feeling of spatiality like listening on a pair of loudspeakers in front of you. 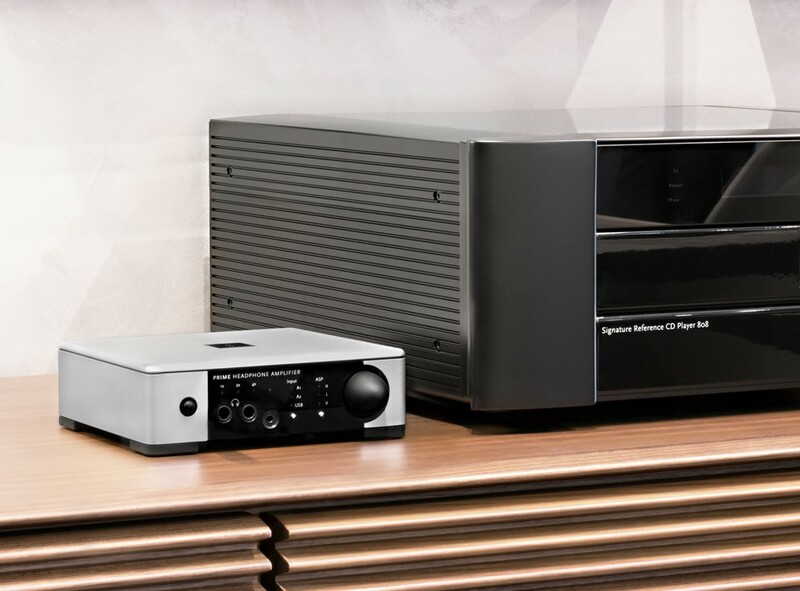 When listening to stereo recordings on loudspeakers, your ears pick up signals from both channels and the high frequencies from the source that is a little further away are slightly attenuated. The Prime Headphone Amplifier’s ASP simulates these effects with pure analogue circuitry and a choice of two settings. The processing is carried out entirely in the analogue domain and switched in and out from the front panel by logic-controlled analogue switches, ensuring that the audio signal path remains as short and pristine as possible. Relays are used to mute the outputs during switch on and off. Throughout the Meridian Prime headphone Amplifier, the highest quality analogue audio components are employed to maximise audio quality. 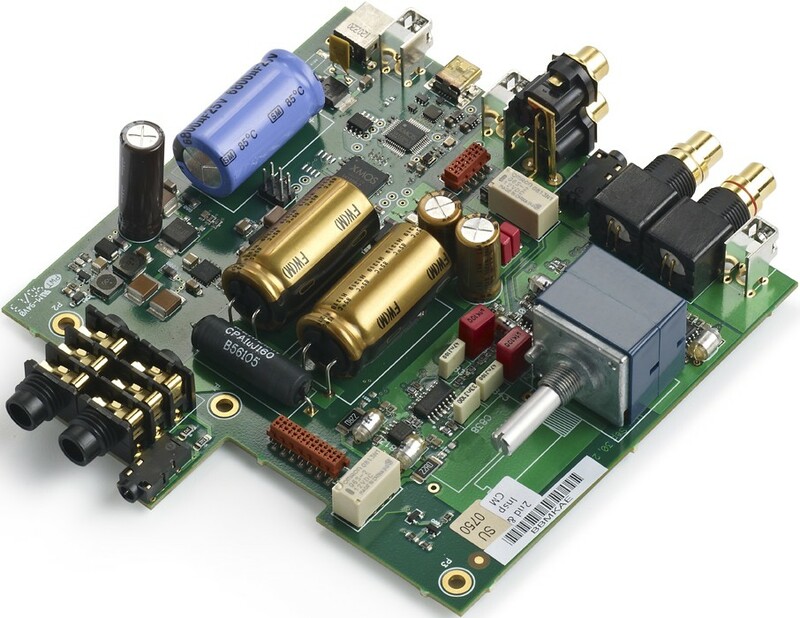 A 6-layer circuit board provides ground-planes and maximises signal isolation. The product is DC-coupled, for outstanding low frequency control and overall audio reproduction, and absolute phase is maintained throughout. With a pair of gold-plated phono connectors for line-level input, plus a 3.5mm mini-jack for connection of personal stereo players, the Meridian Prime Headphone Amplifier also includes a USB mini-B type connector for the replay of computer music sources. The USB conversion system is powered from the interface, so when disconnected, all digital circuitry in the unit is deactivated. The fully asynchronous USB 2.0 interface supports signals at up to 192kHz/24-bit sampling and the USB input features a full complement of Meridian Resolution Enhancement technologies including an Apodising filter that improves the quality of digital signals, and up sampling of 44.1/48kHz sources to 88.2/96kHz prior to the built-in DAC. The Prime Headphone Amplifier now fully supports Meridian’s revolutionary MQA process, which brings the true sound of the studio to listeners at home, on the road, or on the go. The Prime Headphone Amplifier includes full MQA decoding and rendering to headphones for astonishing realism. When replaying an MQA file or stream, a blue LED illuminates to confirm authentic master reproduction. On the output side, the Meridian Prime Headphone Amplifier includes a pair of gold-plated line-level phonos on the rear panel that can be used to drive an external amplifier or pair of analogue active loudspeakers. Three front-panel headphone sockets are provided. One is a 3.5mm stereo socket for the connection of earbuds and similar devices, which presents an output impedance of 2Ω to suit these devices. The other two sockets offer an exceptionally low impedance and are standard stereo types, carrying both channels. They can be used either to connect two pairs of headphones or to attach a single pair of headphones wired with separate cords for left and right drivers, thus offering the opportunity to reduce headphone crosstalk. Virtually all the active audio components are all at the rear of the unit, as close to the connectors as possible to minimise the audio path length, and are essentially remote-controlled from the front panel. This is even true of the high-quality analogue volume potentiometer, which controls the level of all the outputs. A special flexible shaft coupling is employed to avoid microphony resulting from operation of the volume knob. 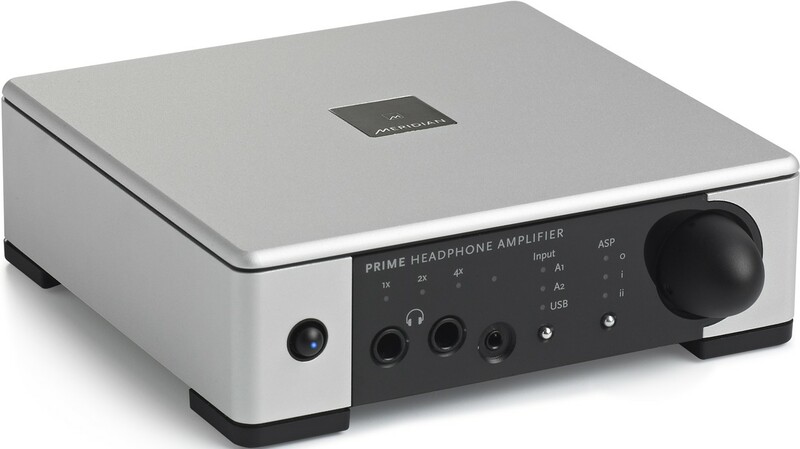 In addition to its use with headphones, the Prime Headphone Amplifier is also an outstanding analogue preamplifier, allowing multiple inputs to be managed effectively and brought up to line level at extraordinarily high quality for driving external power amplifiers or powered analogue speakers. A useful feature is the ability to turn off the preamplifier output when the unit is to be used solely for headphone listening. This is achieved by holding down the power button. When in standby, the power indicator within the power button is blue; switched on with all outputs enabled it shows white; and when the preamp output is disabled it shows green.